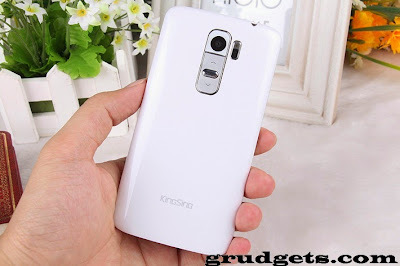 You are here: Home / Smartphones / Kingsing S2 – Best LG G3 clone with air gesture, narrow bezels. The LG G3 is the successor to the popular flagship by LG Electronics, G2. Though the external appearances are the same, the internal stuff have really got a boost. The performance got a major jump with the inclusion of Snapdragon 801 SoC whilst the QHD resolution is enough to make retina display shy. In the similar lines, Chinese manufacturer has launched Kingsing S2 which serves as best 1:1 G3 copy. You can grab it for just above $100 unless the expensive G3. The design is pretty similar like that of genuine one, with just 1.6 mm bezel it is very light weighted device. It measures out about 92 x 168 x 36 mm, little thicker than average smartphones. The front part of the device houses huge 5 inches display with on screen control buttons. Under the hood, it packs MT6582 quad core processor, clocked at 1.3 GHz and Mali 400 GPU. The processor is average performer, found in recent Android One devices launched by Google in India last month. It’s more than enough to get your daily tasks done at satisfactory speed and for average gaming. Also see Oppo N1 clone. The display is of 5 inches size, which is not one of the best in markets, but more than enough you’d expect on budget phones. It has IPS panel having qHD display of resolution, 960 x 540 pixels with OGS. It can prove as good companion for watching movies and playing games online. On the camera part, it has been equipped with 8MP main camera along with front snapper of 2 MP. The camera quality is not that great for 8 megapixels sensor. You can use it for taking normal day to day images. 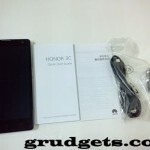 You can check out the sample images taken with this device. Click here to see sample images in full size. It offers many connectivity options. 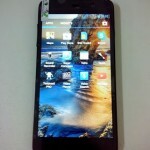 It is dual SIM smartphone, out of which one is normal one whilst other one is micro SIM slot. 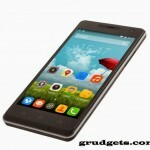 You can use this smartphone to browse internet through 3G and Wi-Fi. 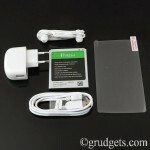 For data transfer purpose, they have included Bluetooth v4.0 and micro USB V2.0 port. There is on-board GPS, which makes it more sweeter deal to buy. 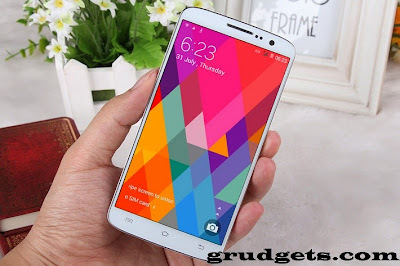 Hot: Best S5 clones for you. Just like the G3, you can double tap on the touch-screen to turn it on or off. This is very rare on android devices these days. The Air view gesture, which first debuted on Galaxy Note 3, had been a huge hit that time. If you are the one looking for this feature, than this is the best choice for you. It enables you to browse images by just waving your hands over the phone. You might be familiar with this feature, which works similarly to that present on Galaxy S5. If you are camera lover, than this feature will amuse you. Press volume down key, located under the camera for about 3 seconds and it will open camera app for you. No need to fiddle around app drawer and unlock your smartphone. The device comes pre-installed with 8 GB storage (around 6 GB available to end user), thanks to micro SD card slot which enables you to insert cards up to max 32 GB. There is 1 GB RAM which makes the deal sweeter. You can enjoy many HD games with this amount of CPU and RAM. The device draws juice from 2000 mAh Lithium ion battery. It is more than enough to keep you connected entire day. Overall, it’s a good smartphone under $100 price tag. If you are looking for cheap LG G3 clone or alternative, than no doubt, this has more than what you’d expect. 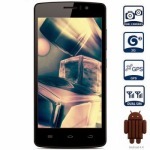 With quad core processor and good amount of RAM, you can enjoy lag free experience. You can buy it now online from 1949deal, with prices starting at $107.99. You can get it from Amazon too, though with a little higher price tag of $154.49.